She's huge! 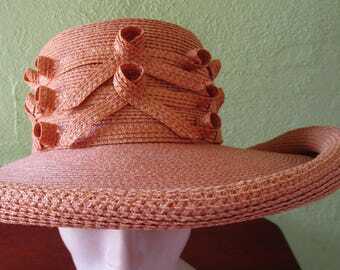 High quality sheer wide brim straw hat from Herald & Heart England. 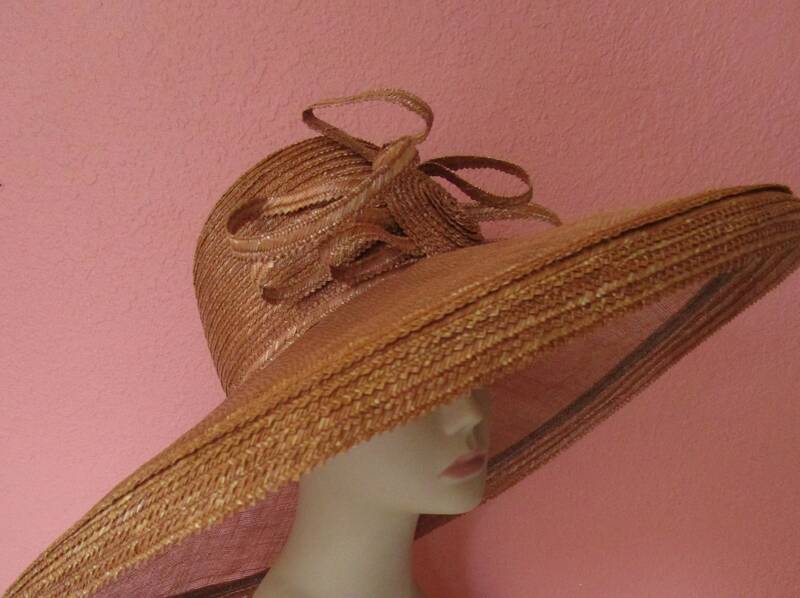 Flirty sinamay wide brim with straw edge band. Large button medallion and looping front. Shiny copper/rust colored, tall rounded crown. 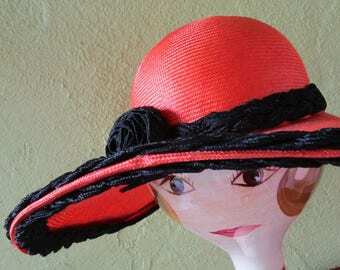 Made from crisp concentrically sewn tiny braided straw. Inside lined in brown taffeta. Size: Measures 21" inside brown grosgrain ribbon circumference, 21" inside diameter side to side , brim rolls under 1-1/2", 7" brim width at front, 5" tall crown height.